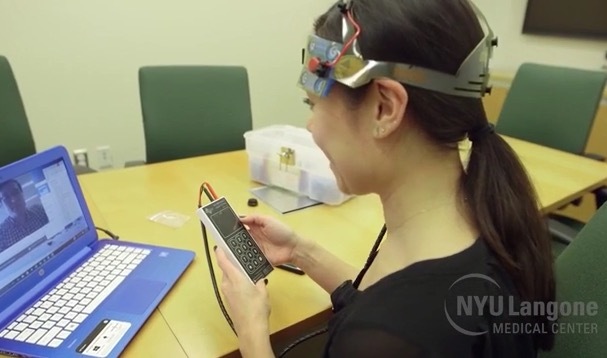 Using remote rehabilitation to administer tDCS to MS patients. Each day for two weeks, Bennett would don a headband equipped with moistened sponges and attached to what she called a “big cellphone”—a tDCS stimulator. When she was ready to start the session, a clinician would give her a four-digit code to enter on a keypad, and the current would surge through the wires and into her brain.